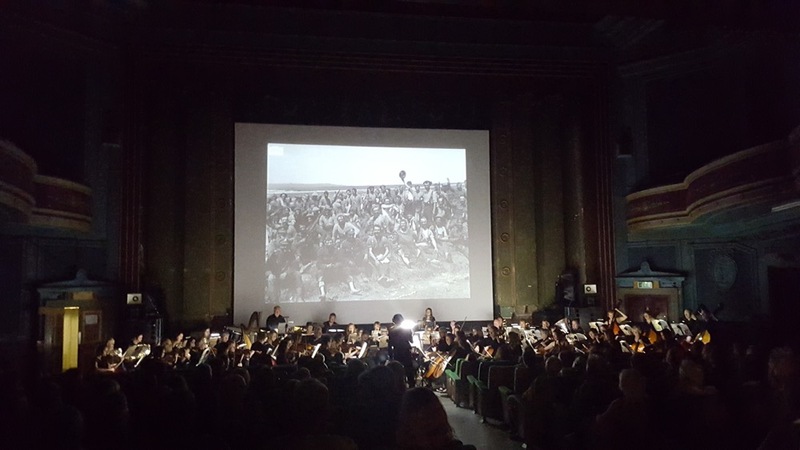 Sheffield’s Abbeydale Picture House provided a perfect setting for the Endcliffe Orchestra’s performance of the Somme 100 Film project. 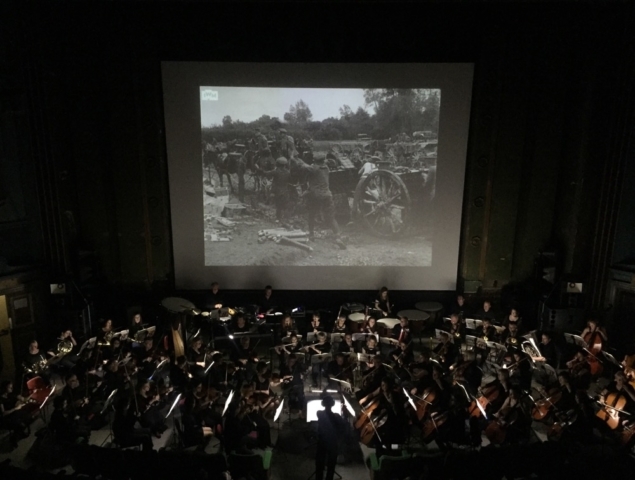 To commemorate one hundred years since the most infamous battle of the First World War an Arts Council-funded project led by the Imperial War Museum commissioned British composer Laura Rossi to write music to accompany the 1916 film The Battle of the Somme. 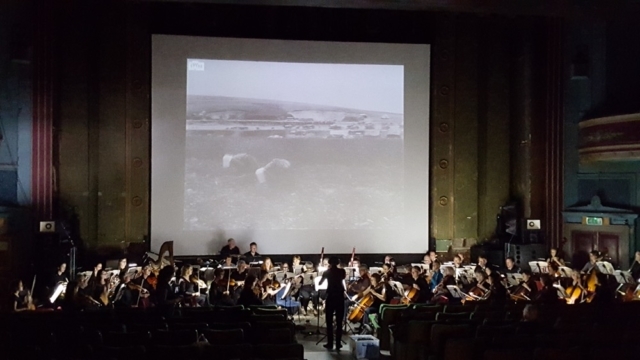 The project involves a live performance of the music to a showing of the film, with an aim of one hundred performances to be given in the year following 16th July 2016. The Endcliffe Orchestra gave the 98th performance of the work at the Abbeydale Picture House, Sheffield, on the evening of Friday 14th July 2017. 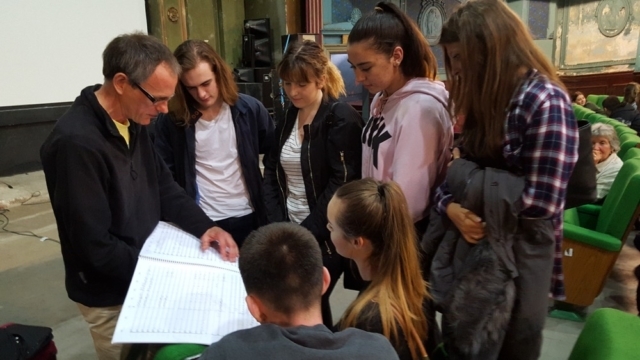 During the day Tim Baycroft from the orchestra gave talks to local schools about the Battle of the Somme, and Laura Rossi gave a film music workshop and talked about her own career. The evening began with a performance of four songs from George Butterworth’s setting of A.E. Housman’s poems A Shropshire Lad, performed by Martin Lightowler on Piano and Ralph Dawson on violin, with each poem read out prior to the instrumental performance. Butterworth was himself a victim of The Somme and this provided a poignant opening to the evening. 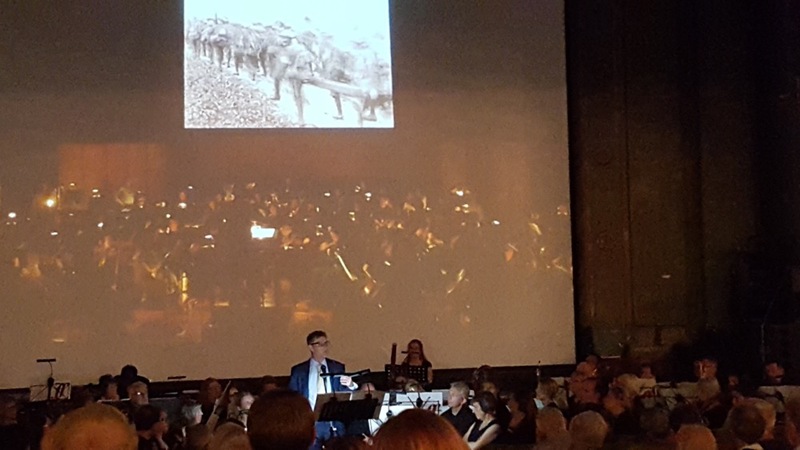 Dr. Toby Haggith, who is Senior Curator at the Imperial War Museum, then gave a talk discussing the history and impact of the 1916 film, including some research on where it was shown in Sheffield. 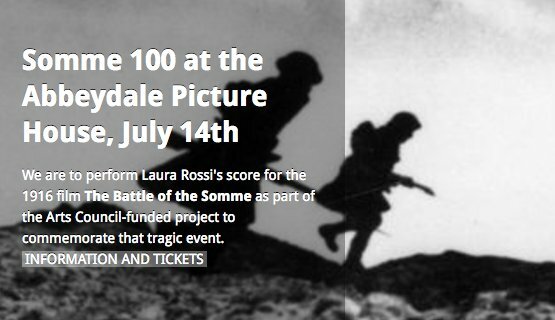 Laura then spoke briefly about the project, including her visits to the battle sites and a mention of her own family history of the time. 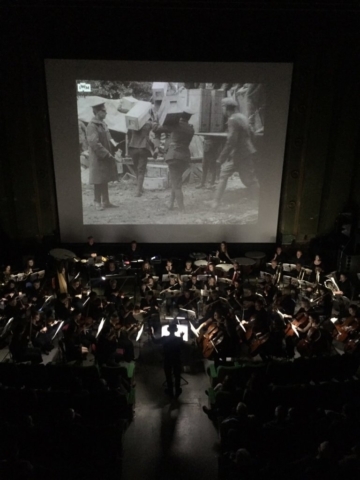 The performance then followed of the five films with the accompanying music. 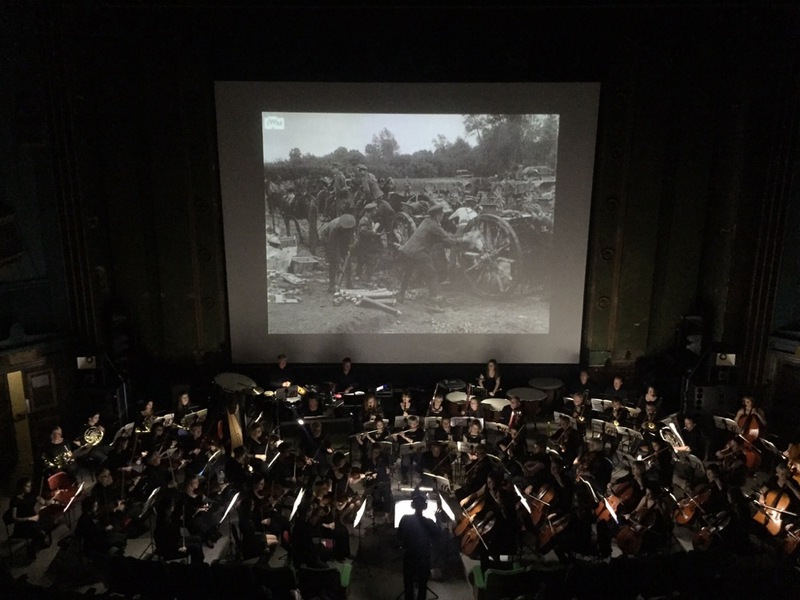 Despite the limited number of rehearsals the performance was flawless, with special praise to the percussion section who performed their loud exposed entries (representing activities on the battlefield) at precisely the right times. 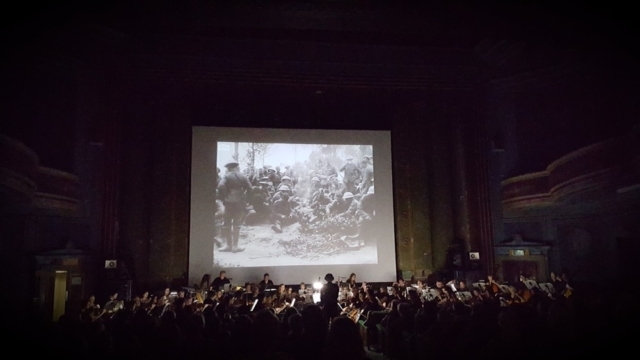 The performance, the film, and Laura’s score were very well received by the audience of over 200. 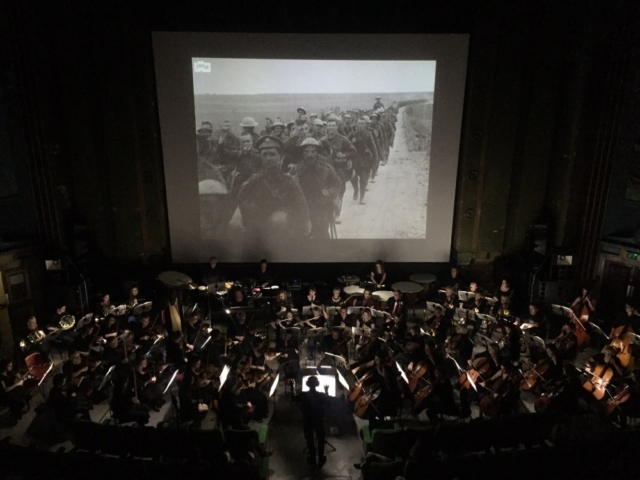 People said it was a very moving experience in many ways, and it was a very appropriate and dignified tribute to the victims of The Somme. The orchestra is delighted to have taken part in this memorable project. It has generated a lot of positive reaction in all the performances seen around the country, and internationally. We are pleased to have been able to contribute financially to the Abbeydale Picture House to help their ongoing work in bringing this impressive historic building back to life. Our thanks to all the additional local musicians who volunteered to take part in this unique experience – we couldn’t have done it without you. 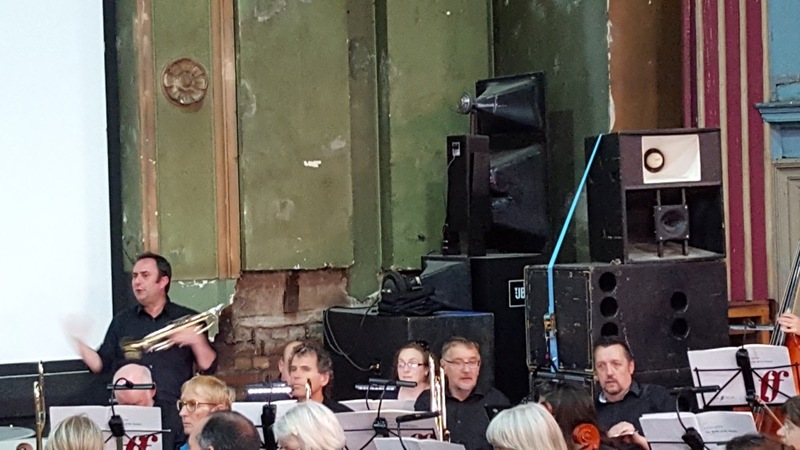 Special thanks to orchestra trumpet player Alex Shields for persuading the orchestra committee to undertake this event and for him and his team’s hard work and dedication in making it happen so successfully. 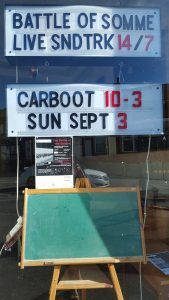 This event caps off a great season of performances by the Endcliffe Orchestra. 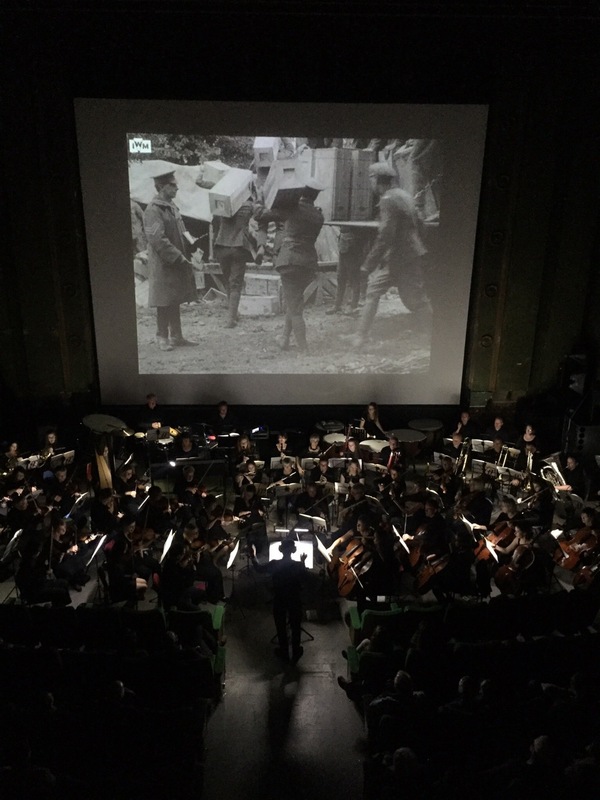 Thanks from the committee to all members for your hard work and commitment this last year and we hope that you found all the performances to be exciting and rewarding.